Quick Note: If you are looking for more information about custom controls, Lenses and tips for the Sony NEX series, take a look here for my guides, reviews and links. It has been awhile since I last said anything about the lenses that I'm using on my Sony NEX camera. In fact, since I picked up the 50mm f/1.8 back in June, a few new lenses have been announced and a couple new bodies as well. I thought I'd share some things I've learned in my 8 months with this camera system. Sony has been slow to roll out a comprehensive selection of lenses, but they have been coming. There are also 2 Sigma E-mount lenses that are very inexpensive, but have received very good reviews. If you were to forget about price, there really isn't much gap in that lineup. Unfortunately, lots of folks can't really afford to drop $2-3000 for a full complement of Prime lenses. When I bought my camera, I purchased the kit with the 18-55 zoom, which has been a very versatile lens. It does the snapshot thing well and is resonably sharp when you use higher aperture settings. It also still has pretty good depth of field when you zoom in and get close to your subject. Until I purchased this camera, I had never spent considerable time with a camera that could produce narrow depth of field and the bokeh effects that you see in some of these images. This is the primary reason that I purchased the 50mm lens and one other non-Sony, non-Emount lens. Before I chose the Sony 50, I actually found an old Olympus OM-Mount 50mm F/1.8. The OM camera that this lens was made for, was a great compact SLR 35mm film camera that was produced in the 70's and 80's. Obviously, this lens can't "talk" to the camera, so Aperture and focus are manual. You Also need to use an adaptor as they use different mounts. From the moment that I started using it, I was hooked on "fast lenses" which is a term used to describe lenses with a large aperture. The lower the number, the larger the aperture. Though this lens is great for still subjects and patient composition, it can be difficult to use when your subject doesn't want to, or can't hold still. As you probably already noticed, the Sony 50mm has the same aperture size. Best of both worlds right? Well, the individual character of the lenses is a little different, as you can see in the images below. 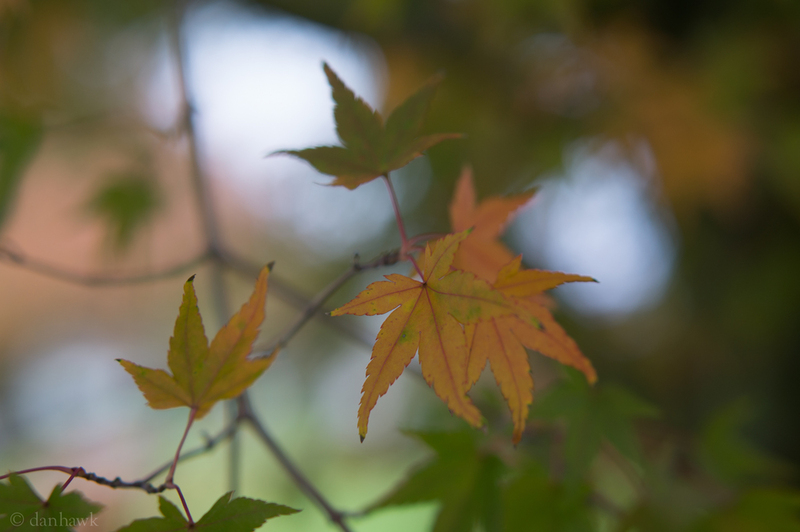 Particularly the out-of-focus areas and the color warmth. Especially in the second set of images. I like both, but I use the Sony more because it makes more sense to carry in my bag alongside the 18-55 Zoom because of the autofocus. Just this fall, Sony announced the 35mm Prime which I'm pretty excited about. 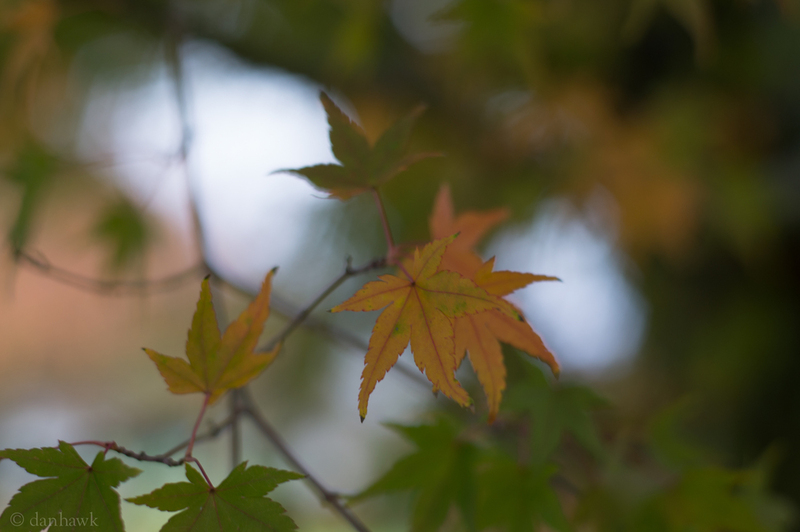 It has all the features of the 50mm, but it is just a little wider focal length which I've kind-of been wishing for. I love the low-light performance, the sharpness, and the narrow depth of field that I can get with the 50, but I find myself having to back up a little too often, or needing to switch to the zoom to get the shot. You can't really just back up on a lot of landscape shots. I'm a little reluctant to trade in my 50, but I'm pretty doubtful that I'd continue using both. Though backing up isn't a good solution for the 50, stepping forward is easy to allow a 35mm to take care of stuff the 50 would do (close range portrait and still life). I also think that the focal length of the 35, would be better as a walking-around-lens. In other words, I'd leave it on most of the time as it is a good medium focal length, and will have better picture quality than the Zoom. I've learned over the past few months that photographers can easily get hooked on Glass...that is, the pursuit of the perfect lens(es). Because I have heard this from so many different people, I've been cautious about it. I'm aiming for a very small kit, with only 3-4 Lenses. Two will be more specialty lenses- A wide angle prime for Landscapes, and a telephoto zoom for sports. The other two will be the lenses I carry every day. That will likely be a mid-range zoom and a regular mid length prime lens. 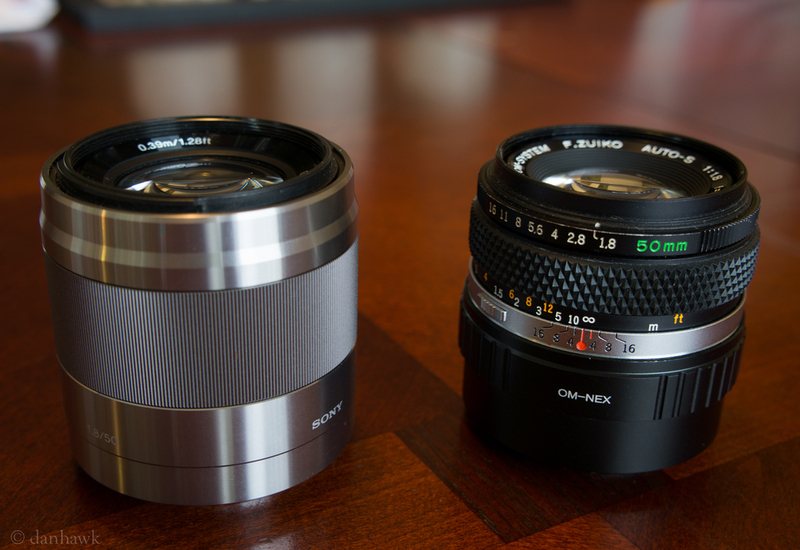 Right now, I have the two zooms, and the two 50mm lenses are middle prime. I'm gonna take my time before committing to any changes, but I certainly don't need 2 -50mm lenses, and maybe not even one if the 35mm is what I hope it will be. I just posted an article about minimalism this past week so it can seem a little goofy talking about new gear, but the goal is to simplify my setup. To have a very clean tool box. I have redundancy in my current setup and it would be nice to clean it up. Move out the parts that aren't optimal and replace them with things that are. A side note- I've heard from many photographer friends that one of the best ways to learn what works well for you is to limit yourself to one great medium prime lens and learn to shoot and frame without the option to zoom. Most of them cite the 50mm as a classic focal length. The 35mm Sony is the equivalent of 52.5mm on an old SLR Film camera. That's the primary reason I'd consider switching to the new 35mm.